Wind turbines harness the power of the wind and use it to generate electricity. 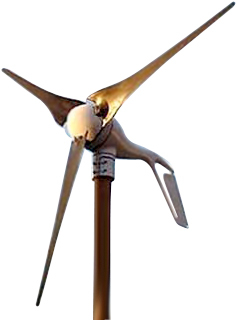 Small systems known as “microwind” or “small-wind” turbines can produce electricity to help power the lights and electrical appliances in a typical home. NexusBS’s Mast mounted Systems are free standing and are erected in a suitably exposed position, often around 2.5kW to 30kW. Our wind turbines are among the most effiecient and cost effective wind turbines in their class. Roof mounted: these are smaller than mast mounted systems and can be installed on the roof of a home where there is a suitable wind resource. Often these are around 1kW to 2kW in size. If your small wind system is connected to the National Grid then you can make money by selling any generated electricity to an electricity supply company From 1st April 2010. NexusBS can supply, install and support a wind turbine to power community and local authority projects, country estates, industrial units, rural domestic properties, farm, offices, schools and many more applications across all the regions of England, Wales and Scotland. NexusBS will help with every phase of a wind generator project from the initial idea and site survey through to completion, including the planning permission, to complete a successful project.